Home»UC-AFT Member Spotlight--Carole Paul: Art Historian, Lecturer and...Professor? 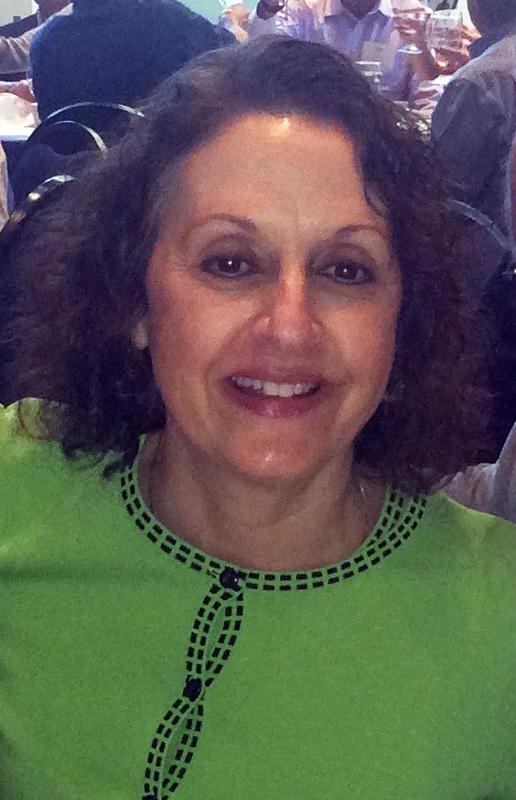 UC-AFT Member Spotlight--Carole Paul: Art Historian, Lecturer and...Professor? Carole Paul is an accomplished lecturer in the Department of the History of Art and Architecture at UCSB, where she has taught since 1994. In addition to her highly regarded teaching, she has an exceptional research and publication record with two recently published books, and a current fellowship from the National Endowment for the Humanities to complete a new book. Carole’s professional record is at least comparable to that of Senate faculty in her field, yet the UCSB Administration has recently denied her promotion to a ladder position. Her case may be a classic example of the contingent trap, where once hired as a lecturer, it becomes even more difficult to get hired into the ladder ranks. Her case also raises serious questions about various other barriers that experienced lecturers with proven records of teaching, service and publication may face as candidates for ladder rank positions. Please read our interview below with Carole to learn more about her teaching, her research and her struggle to get the UCSB administration to give her the professional recognition she so deserves. Please also check out this article in the UCSB Current highlighting Carole's current NEH Fellowship. Insider: You teach a variety of courses in UCSB's Department of the History of Art and Architecture and you receive excellent evaluations from your students. How do you connect to your students and make art history relevant to their modern lives? C.P. : The most distinctive thing about Art History as a discipline in the humanities is that its primary object of study is not textual but visual. Few students enter college with any training in critical thinking about the visual arts, even if they have made art themselves. My broad objective in teaching Art History is thus twofold: to help students develop analytical skills that they can apply to artworks as well as to the other types of images they will encounter in their lives, and to deepen their understanding and appreciation of the various functions that art performs in different times and places. In my introductory class I begin by pointing out how much information we receive visually and demonstrate this by analyzing the kinds of images we all see everyday—in the news, in advertisements, on television, and on the internet. This really engages students and they quickly realize the sort of information that is being disseminated to them in this way, its potential to influence them, and how they can resist its influence. Insider: Your current research focuses on the history of museums and collecting in early modern Europe, especially in eighteenth-century Rome. What attracted you to study this field? C.P. : That’s a complicated story. I’ve been interested in Italian art for as long as I can remember, but wanted to focus on a field that had been less well explored than the Renaissance. I was also interested in the transition from the early modern to the modern period. Both concerns came together in my study of eighteenth-century Rome. 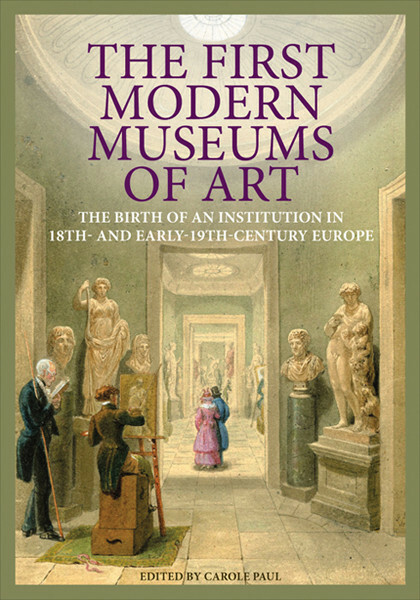 As I examined the sites where art collections were exhibited—private palaces and villas and public museums—and the ways that artworks were displayed to be discussed by visitors, especially those on the Grand Tour, I began to see that the importance of eighteenth-century Rome as a cultural center, particularly its great significance for the development of modern museums, had been seriously overlooked by scholars. 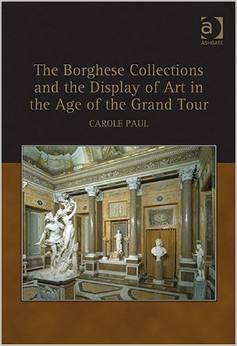 Insider: Your two recent books on the subject, The Borghese Collections and the Display of Art in the Age of the Grand Tour (2008), and The First Modern Museums of Art (2012) present a new framework for understanding early museums. How does it feel to bring a whole new perspective to your area of study? C.P. : Public art museums are quintessentially modern institutions, but their history—their invention—has not been systematically studied and understood and therefore the ways in which they were modern hasn’t been clear either. The widespread notion that the first such museum was the Louvre, opened in 1793, conveniently associates the moment of origin with the French Revolution, but it is simply not true: public art museums began to spring up all over Europe, especially in Italy, earlier in the eighteenth century. The first one of international importance and the archetype for these institutions as we know them today was the Capitoline Museum, which opened in 1734. Its founding was spurred by the popularity of the Grand Tour and the spread of Enlightenment values, so it was a product of modern forces, but also of a religious monarchy of the ancien regime—the papacy—not a revolutionary government. It has been exciting to see the real story emerge, and I look forward to developing my ideas further in my next book, on the Capitoline Museum, which I received a NEH fellowship to complete. Insider: Tell us about your new role as Director of Museum Studies. C.P. : The faculty in my department has exceptional depth and breadth of experience in this field, so we have been thinking about establishing an Undergraduate Major Emphasis in Museum Studies for some time now. Because of my scholarly expertise and teaching in this area, I was appointed director and took the lead role in planning the program and writing the proposal during the 2013-14 academic year. The emphasis has now been officially approved and will be implemented beginning in fall 2014. We will offer a variety of courses covering a range of historical, theoretical, and practical issues in the field, and students will also be required to serve in internships to gain “hands on” experience. Our students have taken great interest in the courses we already teach in this area; the emphasis will help prepare them for the many related career paths they can follow. Insider: You've received a lot of recognition for your work in recent years. In addition to your publications and your directorship, you had a fellowship at the Getty and now a prestigious NEH fellowship, which UCSB just highlighted in an article on the campus website. You're clearly doing the same kind of work as senate faculty members in your field. It seems your department should be considering a promotion to a ladder rank position? C.P. : With my appointment as director of the emphasis in Museum Studies, my department in fact requested a ladder rank FTE position for me. Although the department identified this position as their number one priority, the campus administration denied it and instead offered two FTEs in other fields of Art History. Insider: That's truly disappointing and very unfair. The administration's perspective seems to be that they already have you at a discounted rate, so why would they give you a promotion when they can benefit from your professional contributions and reputation without doing so. It seems like a real insult and disservice to you and your department. C.P. : Well, yes, especially because as a lecturer I am not compensated for teaching or advising graduate students, but many in our department are interested in Museum Studies and other areas of my scholarly expertise and would like to work with me. Despite these limitations, I have served on over twenty M.A. thesis, Ph.D. minor and major exam, and dissertation committees, and have assisted graduate students in various ways in developing their professional careers, even after graduation. I think it would benefit the department if I was able to do more, and clearly they do, too, because they requested the FTE for me. Insider: UC-AFT's UC Democracy campaign is focused on changing the many ways that lecturers are unnecessarily and unjustly marginalized within the UC system. Based on your experience with your appointment, do you have thoughts about how ladder faculty in the UC system can better support lecturers like you? C.P. : In my case ladder faculty members of my department have been very supportive. My department even asked that the administration reconsider the FTE request for me when it was turned down, but to no avail. So in addition to faculty support, there needs to be recognition on the administrative level of the crucial role that lecturers play on our campus and in the UC system; their careers should be advanced in a way that is equitable and appropriate for the kind of work they are actually doing. Insider: You have been an officer on UC-AFT Local 2141's Executive Board for many, many years. Why is it important for you to have a union and to be involved with UC-AFT? C.P. : My answer to the previous question reflects on this one. Lecturers are some of the hardest working faculty on our campus, and they need and deserve fair compensation and excellent working conditions in order to deliver the finest education to our students. The best way to achieve this in the current system is through strong representation. I have been working at UCSB for twenty years; during my time here I have seen great improvements for lecturers—continuing appointments and the establishment of a professional development fund, for example—all brought about through union representation. Insider: You've done a lot of work for the union and your lecturer colleagues over the years. Thank you for that. And a sincere thank you for sharing your story. You're not alone and it is a really important step for moving forward and breaking down barriers for other experienced contingent faculty, and frankly, for many women in academia.